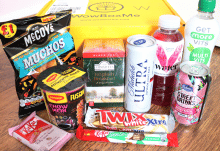 They have two levels of subscription: the Tasting, which is smaller, and the one I have received, The Classic.Subscriptions are prepaid for one, three, six, or twelve months.For the Classic box they work out at $39 (around £30), $37, $35 , and $33 per month.As usual, they are priced in dollars, so GBP conversion is according to today’s exchange rate. Obviously this will vary, but it gives you some idea of cost. 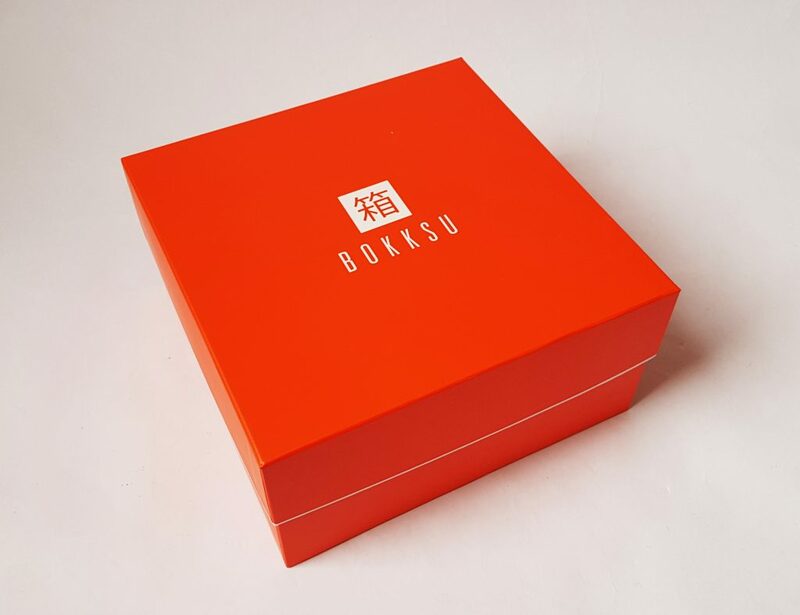 After the fancy white and gold boxes of December and January, we’re back to the regular orange box. It’s still extremely nice, very sturdy and very suitable for reuse. 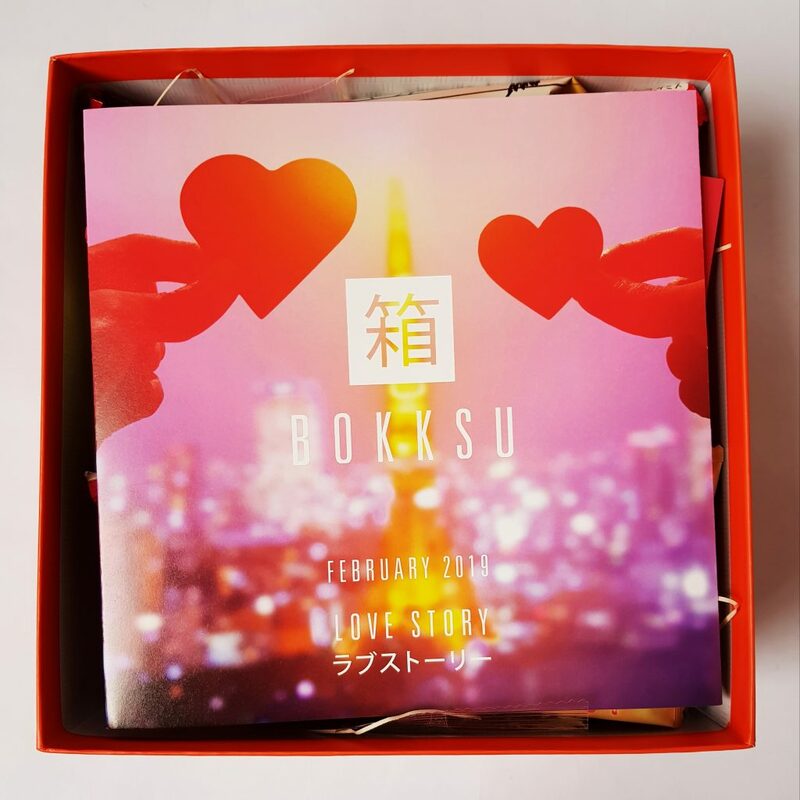 Appropriately enough for February, this month’s theme is Love Story. 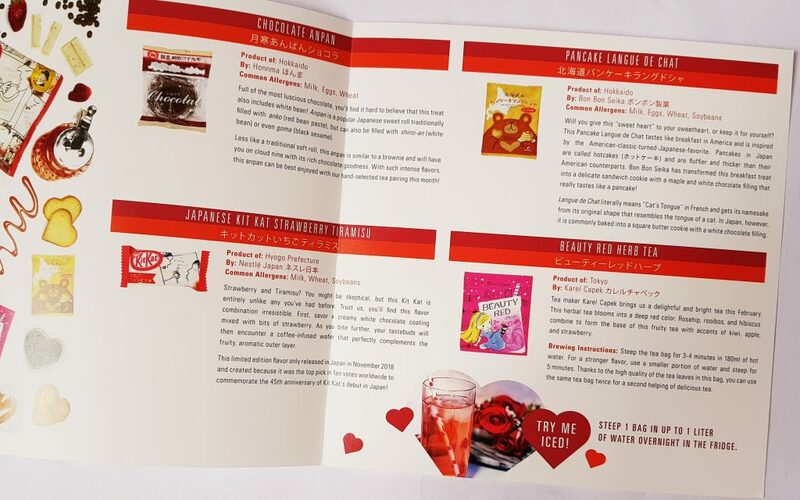 Valentine’s Day is celebrated in Japan, though traditionally it used to be women who gave chocolate to men! Nowadays everyone exchanges treats in the spirit of romance and appreciation. The double folded menu spreads out over two pages, and gives you details of each item, plus an allergy list. Baked Strawberry Chocolate is described as a type of cake, but I think it’s really a little more like a slightly crumbly truffle with crispy bits inside. These are very rich and sweet, with a delicious strawberry flavour. 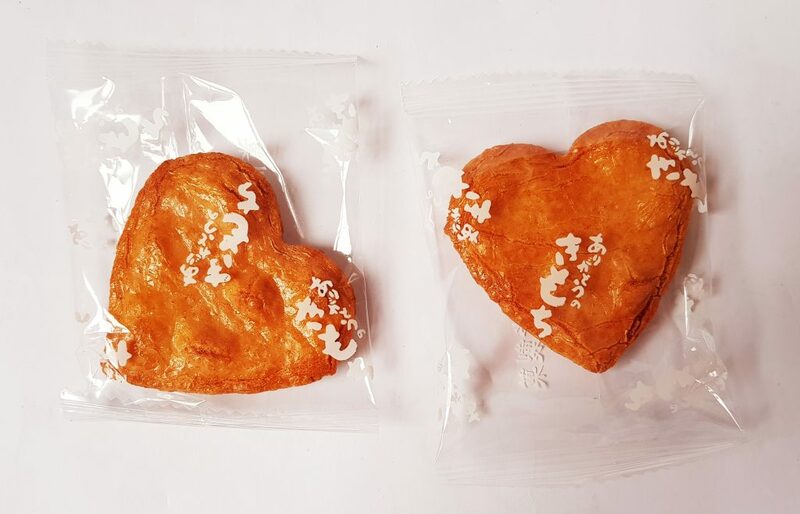 These heart-shaped senbei (crunchy rice crackers) are called Arigato No Kimochi Senbei, which means ‘thankful feeling’. They are honey and soy flavoured for a sweet-savory flavour combination. These Tai Chocolate are a twist on a traditional Japanese sweet. 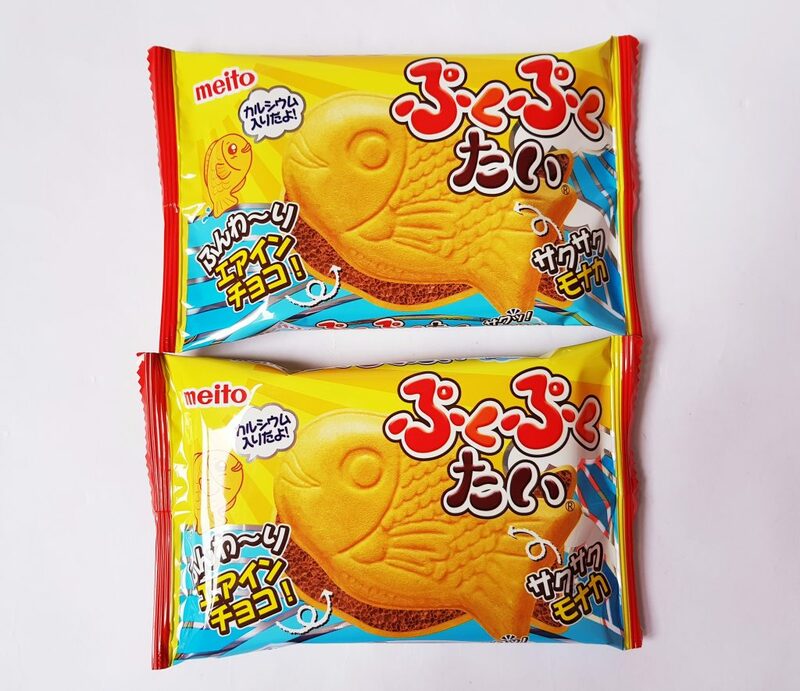 Originally the fish-shaped pastry consists of mochi wafers with a sweet red bean filling, but this version is a wafer shell filled with very light and bubbly chocolate, rather like a Wispa bar. 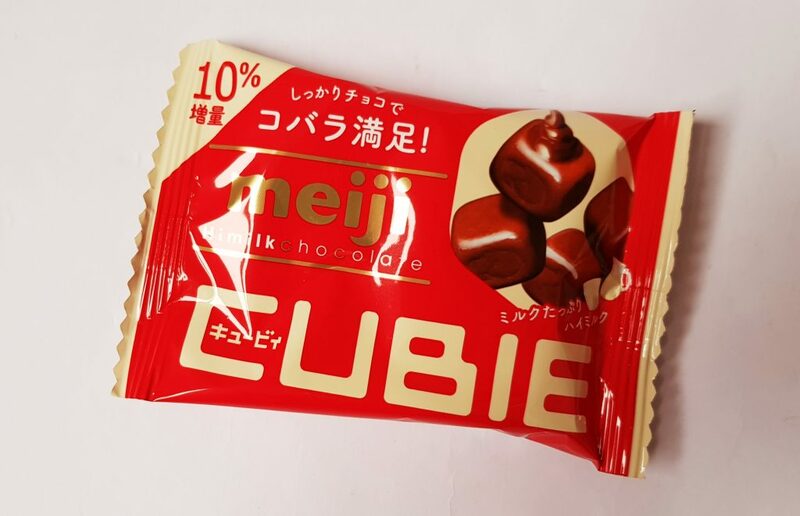 Cubie Hi Milk Chocolate are exactly what they look like! Little bite-sized cubes of chocolate. 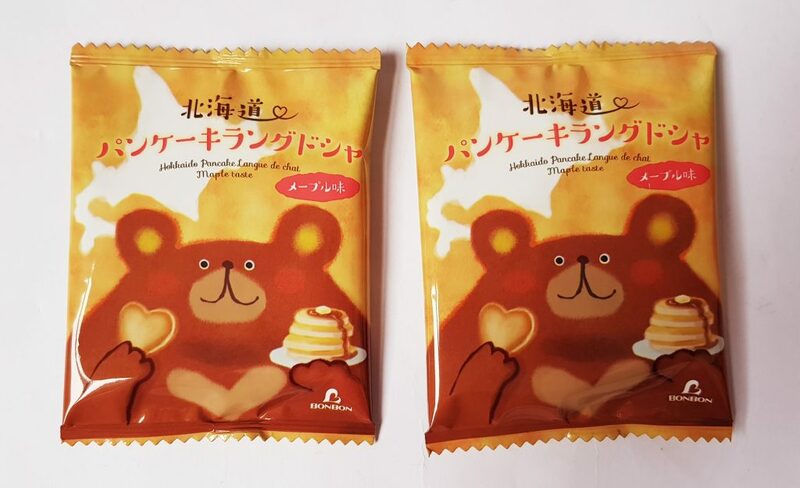 These are one of Bokksu’s exclusive snacks. 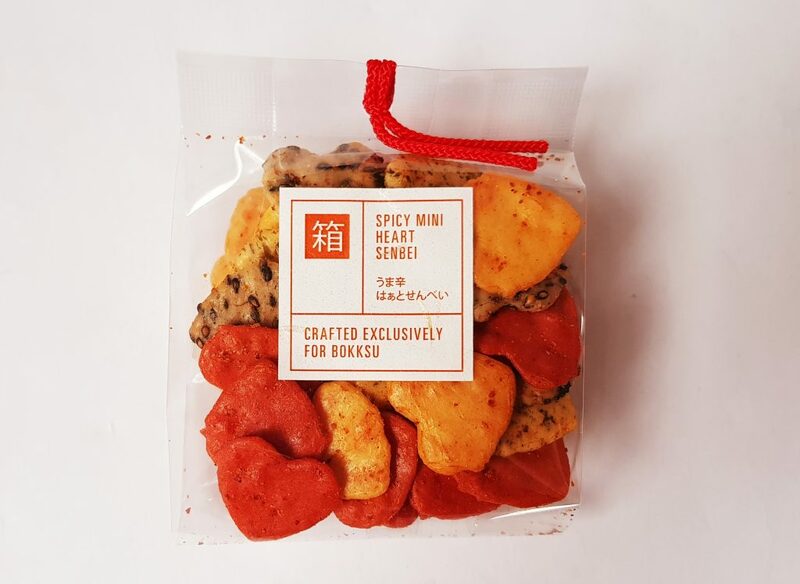 Spicy Mini Heart Senbei are a pack of little heart-shaped rice crackers with chili powder. There are a selection of flavours, including black sesame, mustard, and seaweed. 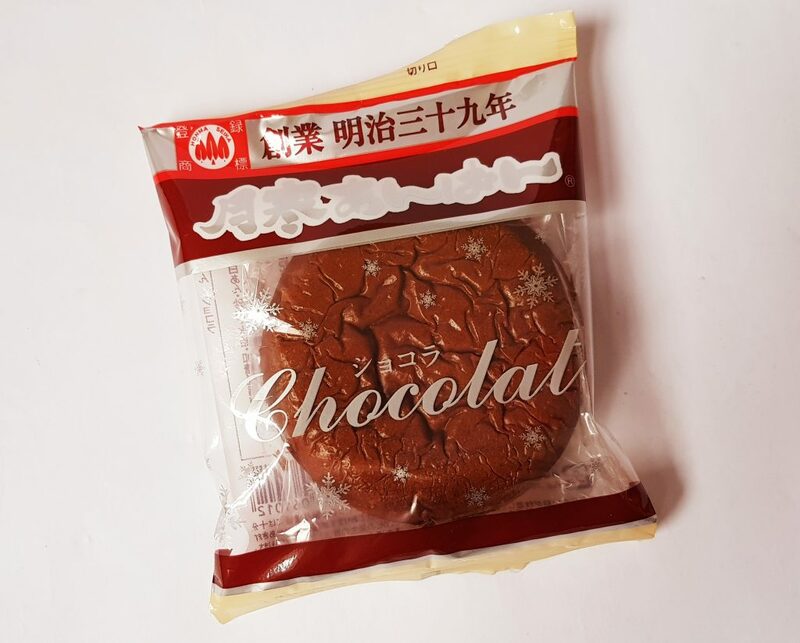 This Chocolate Anpan is surprisingly large and heavy! Anpan is traditionally a sweet roll filled with red bean paste, but this version is a rich chocolate roll. It’s more like a cake than a roll! Japanese KitKats come in all kinds of lovely flavours, and this month we have a whole bag of mini KitKats in Strawberry Tiramisu flavour. The outer coating is which chocolate with strawberry, and the wafer filling is coffee. 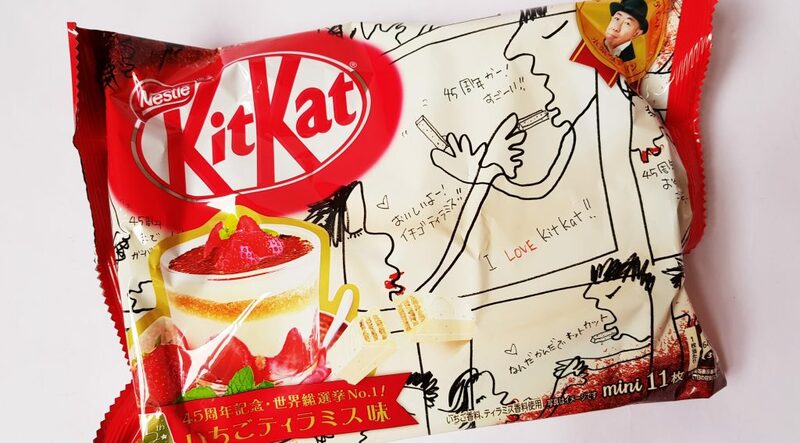 This is also a limited edition flavour released late last year to celebrate 45 years of Japanese KitKats. These adorable cookies are Pancake Langue du Chat. 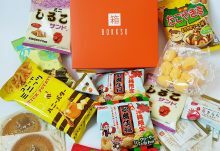 Japanese langue du chat are the same thin biscuits as the French type, but they are square and sandwiched with a white chocolate filling. This version has a maple filling reminiscent of an American pancake breakfast. Finally, this month’s tea is Beauty Red Herb Tea. It’s a herbal tea containing rosehip, rooibos, and hibiscus. It’s pink and fruity, and can be drunk both hot and iced. 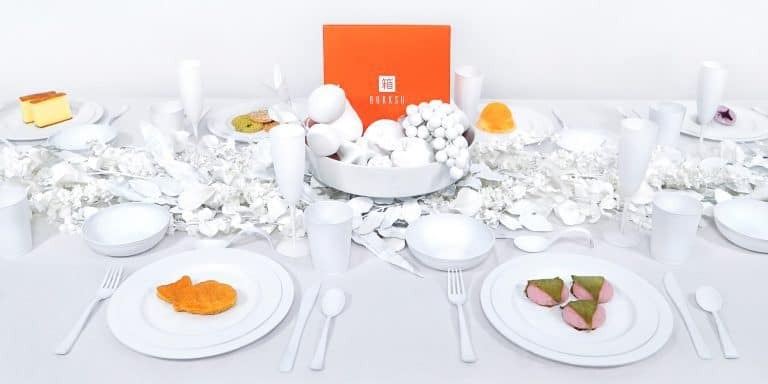 There are slightly fewer items on the menu than usual, but this is more than made up for by the bag of KitKats and the larger size of some items. Chocolate and strawberry are well represented, which fits in perfectly with the romantic theme! 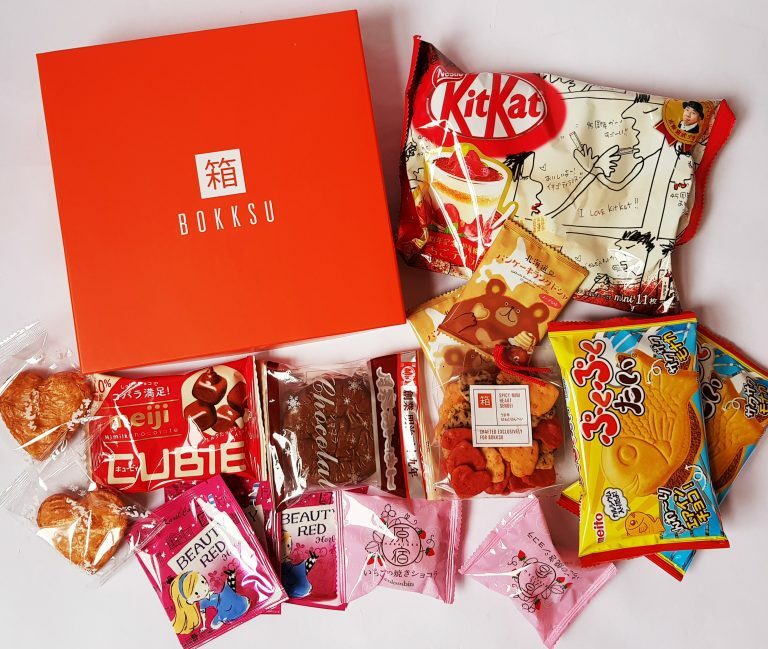 The KitKats are especially yummy, and it’s lovely to see an entire bag in here! The fruity tea is delicious, and will be lovely cold when the weather gets a little warmer too. 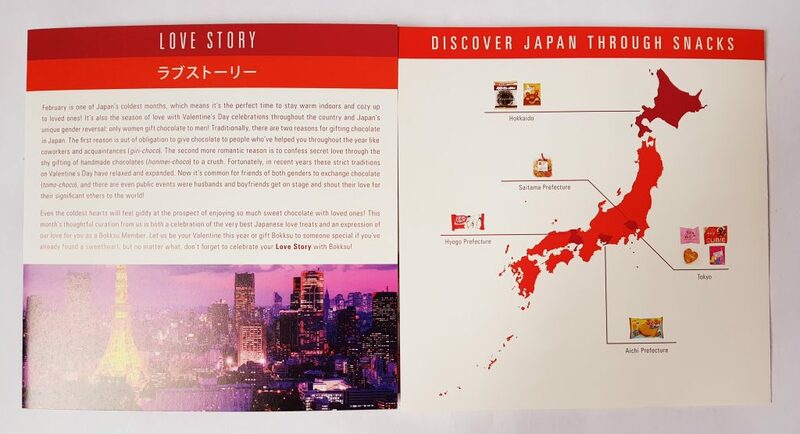 The spicy senbei are a lot of fun, especially as chili is supposed to be an aphrodisiac! 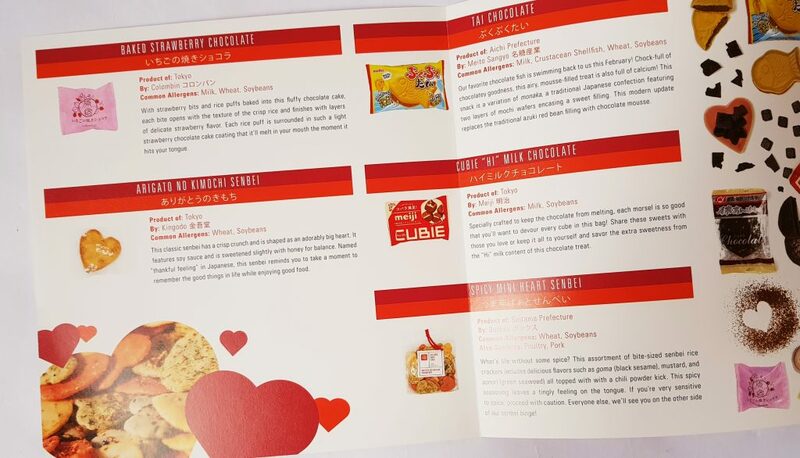 This is a lovely selection of romantic treats, with yummy flavours and cute heart shapes. Perfect to share with a loved one!